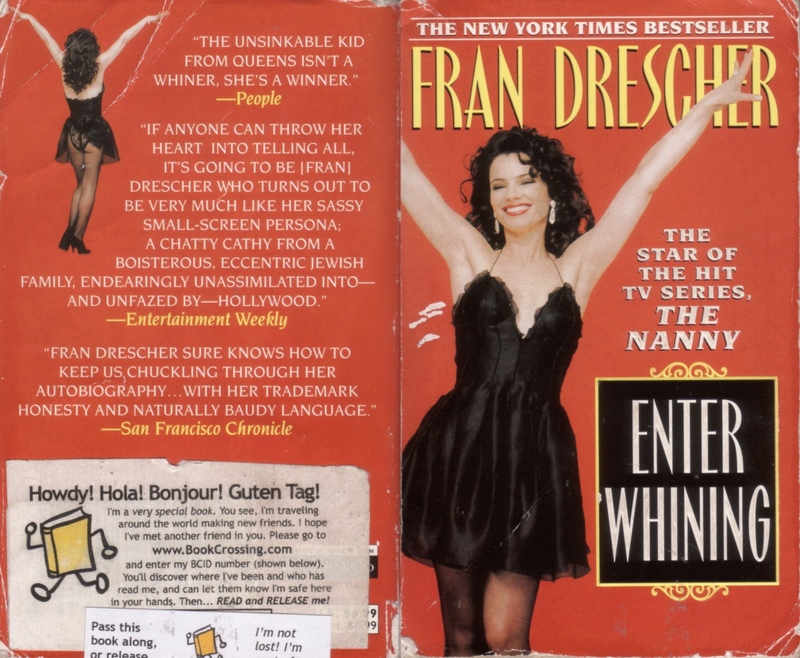 An autobiography of Fran Drescher. Great surprise today with the mail!! I didn't expect the book to arrive this soon! Thanks for sending it, FamFatale!!! I'm looking forward to read it!!. I hope your book will arrive soon too!!! Left the book in Switserland with a friend who wanted to read it too. After she's finished with it, the book will come back to me so I can read it myself. Have fun reading it, Irene!! So, E-mile, the book comes back to you in Holland and thanks again! Fran is back!!!! My friend from Switserland send me the book back; so now I can read it myself. She realy liked it, so I'm even more eager to read it than I already was!!! I just loved the book!!!!! Fran tells her story with such humor. good reading material it is. Again thanks for the book, FamFatale!! And there was interest for a bookring! Today Fran will go to the first person in the ring: Arja. Have a safe and wonderful journey, Fran!!! E-mile mentioned this book and I thought it'd be interesting to read more about Fran's life. Might take a few weeks, as I suddenly had a pile of ring books arrive at the same time. 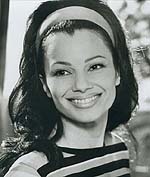 I never realized how many other shows and films Fran Drescher must have worked on, before and during The Nanny. Also, I had not expected her to be so obnoxious and eccentric all the time in her behaviour and writing. IMHO this gets a bit annoying, even though that is who she is (or how she wants to present herself). E-mile, can you please tell me who to send the book to next? Gister in de brievenbus gekregen via Arja. Hartelijk bedankt voor het langsbrengen. Ben er meteen in begonnen, was speciaal even in niets nieuws begonnen omdat ik wist dat ie eraan zat te komen. Ben benieuwd. Leuk dat het boek helemaal uit de US komt! What a lovely book to read and nice photo's too! Very funny. A real feel-good-story as far as I'm concerned, really liked it. She sounds gratefull for the carrier she has and doesn't take her success for granted. I'll enjoy the episodes of The Nanny even more now I know the whole history and details behind it! I will bring the book to Tiekie this week asap. Got this book today from Pietenpadje. I am very looking forward to reading this book, so I will move my other books to a dark place and settle down tonight! Thank you E-mile for this lovely ring-book!! I am sending this book to the next person on the list. I have got no time to read it and I don't want to keep it here for too long. Fran arrived on my doormat today! I'm really looking forward to reading this book. Thanks for sending it Tiekie, and perhaps you can still read it after me? By the way, nice to know that this book comes all the way from America! Finished it and what a fun book to read! At times I really had to laugh out loud. And it's really written in her voice, literally... you actually hear her saying all these sentences! The only thing that was nagging me whilst reading the book was the way she talked about her husband and her wonderful marriage... soon after this book was published they got divorced!! Maybe she wrote about that in her second book? I guess I have to read that as well! I'll contact Tiekie to ask if she has time to read it now, otherwise this book will be off to muizz. Fran is on her way to Muizz! Sorry for the late journal entry. I found the parcel in a stack of mail when I came home from a couple of days abroad and then I forgot to register it. Luckily Mirre sent me a reminder that she hadn't heard wether the book has arrived. Well, it has! Probably it will take some time before I am able to read it, because there are some other books screaming for attention as well. Thanks for ringing the book, and Mirre, thanks for sending the book and for the reminder. Imagine you are at a dinner party and the woman sitting next to you doesn't stop talking. She keeps on talking about her career, clothes, celebrities she's met, clothes, her succesful television show, clothes, her apearance at David Letterman shows and how funny she was there, clothes, etc. You don't want to be impolite and you make some encouraging noises, and in the mean time you are looking for a place to hide. That's how I felt when reading this book. Normally I love (auto)biographies, but this one I didn't enjoy. Someone who is able to spend 6 pages about the preparations for a photo shoot (how her make up, hair and clothes were) can't keep my interest. I'm really sorry. Needless to say that I didn't finish this book. Now the book will continue its journey. It'll go to Sarana. What a lovely and funny book! I've read it while spending the Easter weekend with my parents and I kept calling out to them "Ooo, did you know that..." and "You've got to hear this...". I had no idea that so much about The Nanny was based on Fran's own life. I loved her stories, especially the down-to-earth-ness of them, and the fact that she wasn't afraid to tell her silliest stories or show her most unflattering pictures... A very sympathetic woman, as far as you can tell through this book. I'm shocked to read in Mirre's Journal Entry that she's divorced now, the way she describes her marriage it's hard to believe that it fell apart soon afterwards! Thanks for ringing the book, E-mile! I'm PM'ing Nandaaah now. Edit: I'm terribly sorry for the long delay, the book was mailed out today. And the book has arrived, just started in another, so I'll probably start in this book somewhere in the next week. I've finished the book today in the hot sun. It was an O.K. book to read. Just as Arja, I didn't know she did this many other shows and films. And too bad she divorced, since her mariage seems good in the book, but unexpecting things can happen. The book will be off to the next reader as soon as I got an adress to send it to. And I got the book now! Thanx Nandaaah for sending it and E-mile for ringing (?) it. I allready started in it because my last book was just finished. Fun to know that her parents and sister's names in the Nanny came out off real life. That Chester was her dog, I knew allready. I will try to finish it before the Castricum-meeting. Gelukt! Geweldig van genoten! En nu The Nanny weer op tv is kijk ik toch met *iets* andere ogen. Bedankt voor het ringen E-mile. Ze komt morgen bij je terug. "What I learned about myself, the depth of my relationships, and cancer -tests, treatment, recovery and follow-up- could fill a book. So here it is. * back to E-mile. <-- Fran is back home!!!! posted Fran today, so the ring can continue..
Fran has arrived in Gouda! I'm looking forward to reading this book and am pleased to see it has pictures in it! Is has been a while since I read a book containing pictures. Hi guys, perhaps you already know it, but since a few weeks there is another comedy on RTL4 on sunday afternoon with/about Fran!! I saw it for the first time last sunday and wanted to let you know that it's out there. Na 'The Nanny' is Fran Drescher terug met een nieuwe komedie. In 'Living with Fran' is Fran een gescheiden vrouw die geniet van de nieuwe weg die haar leven is ingeslagen. Haar nieuwe liefde Riley is fantastisch, geweldig en jong, heel erg jong. Hun relatie is ingewikkeld vanwege het feit dat de kinderen van Fran bijna even oud zijn als hun nieuwe 'stiefvader'. Het nieuwe huishouden van Fran mag dan niet traditioneel zijn en soms heel lastig, toch weet ze zeker dat ze het niet anders zou willen doen. 'Living with Fran', vanaf zondag 11 juni, 17.00 - 17.30 uur, RTL 4. Today Fran arrived at my doormat, together with 2(!) other books...Which makes the count of ringbooks that arrived here in 3 days: 7...I think I'll need to ask my boss for a reading leave-of-absense. Anyway, although not all the stories were equally entertaining I enjoyed reading the book. It was really written in her voice, like Mirre said! I can't wait to read the other book! Thanks for re-opening the ring E-mile! I'll send it to Yinny asap! Found it in the mailbox yesterday! Thank you, E-mile for sharing this book and Enitnaj for sending this book! Yes, she is boasting about all the famous people she met, the people she knows, the clothes she wears, blablabla. But she does it so innocently, so charming, that it isn't (very) annoying. This book is already on its way to the next reader. The book is here! I'll start reading it right away, because the book I'm currently reading is not to my taste. The book is badly damaged, I'll try to repair some of it. 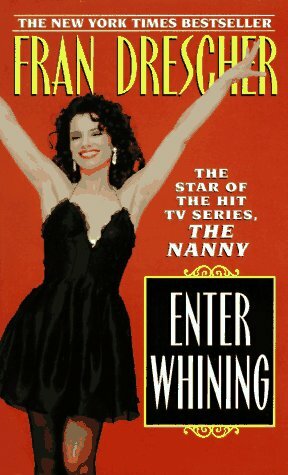 I never watched the Nanny because I dislike sitcoms and canned laughter, but this book was neat. Miss Drecher sure has a lot of energy! Thanks for the sweet card you left me in the book Yinny! I'll keep using it as a bookmark. I'm mailing this book to Redfloor today. Happy reading! Lag in mijn brievenbus. Ben heel erg benieuwd ernaar. Er zijn nog wel enkele boeken die eerst aan de beurt zijn. Dutch-flybabe, je hebt het keurig gerestaureerd! Dank ook voor de kaart. Edit: Ere wie ere toekomt, Dutch-flybabe heeft het boekje gerestaureerd, niet Yinny. Wat een leuk boek om te lezen. Allereerst door het formaat. 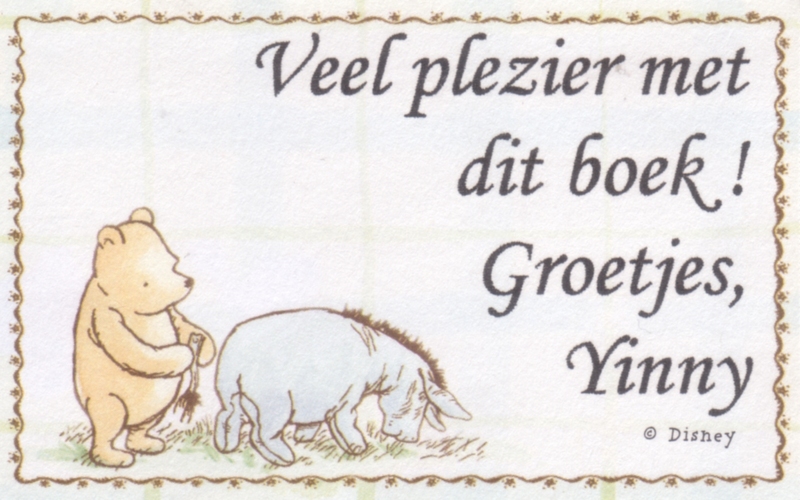 Het is een lekker kleine pocket met kleine letters. Het paste makkelijk in mijn tas, zelfs als deze al vol zat. Daardoor kon ik doorlezen in de trein. Alle boeken zouden in dit formaat verkrijgbaar moeten zijn. Daarnaast is het ook gewoon heel erg leuk om te lezen over het leven van een van mijn favoriete actrices. Heel grappig om te lezen dat haar eigen ouders ook Sylvia en Morty heten en dat er meer parallellen zijn. Fijn dat Fran uiteindelijk een succesvolle carriere heeft. Ik bekijk de Nanny nu met heel andere ogen. Ik ben benieuwd naar deel twee, al vermoed ik, gezien de inhoud, dat dat deel lang niet zo hilarisch zal zijn. Haven't read it yet but will so very soon. Thanx for sending it Redfloor! Fran is on her way to Jordanne. Have fun!! I found it in my mailbox a few days ago! I think it'll be a quick read! Thanks for ringing and sending it to me! Op de post naar de volgende lezer! Heb dit boek voordat ik op vakantie ging uitgelezen. 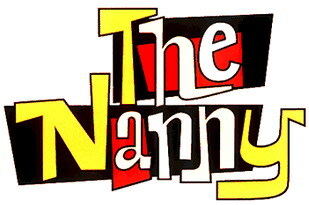 Opzich leuk om te weten hoe de serie The Nanny er is gekomen en dat veel is gebaseerd op haar eigen ervaringen, maar dat idee van 'aan je hoofd zeuren' kreeg ik ook wel. Ik had het idee dat ik een verlengde versie van een verhaal over een ster in de Story of de Prive zat te lezen, eerlijk gezegd. Het boek is vandaag aangekomen. Het ziet er leuk uit, veel foto's. Ik ga er gelijk in beginnen, was gisteren klaar met mijn vorige ringboek. Dank je wel voor het opsturen en ringen! i received the book today. It looks like a fun and nice book, i like the photo's in it. I am going to read it right now. Thanks for sending it to me and thanks for this ring! Interessant boek om te lezen, het word ook wel makkelijk gemaakt met de foto's die erin zitten van haar leven. Wat het gelijk ook weer leuker maakt om te lezen. It is an intersting book to read. Also to see the photo's that are inside the book. Erg leuk om te lezen!! Leuke foto's, leuke manier van schrijven!! And Fran found her way back home again! Thanks for sending it, Bontekever! (btw: did you read the book? I haven't seen a journal entry of it....).